Vladimir Petkovic’s side were too good for Georgia in Tbilisi today. 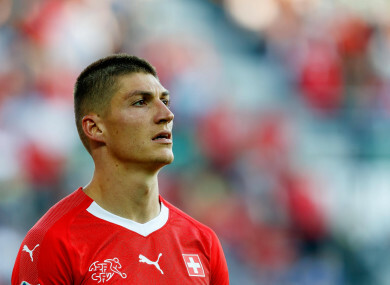 Steven Zuber was on target for Swizerland. After a scoreless first half, Steven Zuber opened the scoring on 56 minutes before Denis Zakaria added a second with 10 minutes remaining. The victory sends the Swiss top of the group with no other fixtures played yet. Ireland kick off their campaign against Gibraltar at 5pm today, before facing the Georgians at home on Tuesday. Email “Ireland's group rivals Switzerland get off to winning start”. Feedback on “Ireland's group rivals Switzerland get off to winning start”.